Amy Fleming's attorney was challenging her murder case and filed a motion for reasonable bail which was denied. NORTH LAS VEGAS (KTNV) — UPDATE FEB. 28: Amy Fleming's attorney was challenging her murder case and filed a motion for reasonable bail. "Where is the evidence? Where is it? I don't see it; it doesn't exist." Fleming sat in court with no visible emotion during the 20-minute hearing. "I would love to tell you that we have a smoking gun, or we'd love to have the body or DNA evidence that proves something, but that's not what this case is. This is a case of a lot of little things that put together, that gives us the knowledge that Amy Fleming was involved in the homicide of her child." Fleming’s bond was not reduced during Thursday's court proceedings. 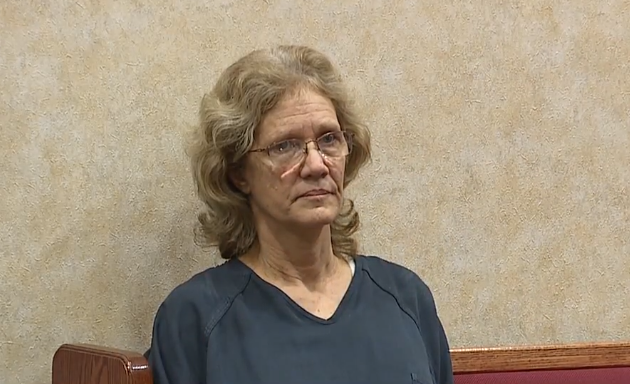 Her next court appearance is scheduled for March 14. Cold case murder suspect Amy Fleming is being held in a Las Vegas jail after her arrest in late January. North Las Vegas police said that it was an attempt at identity theft from overseas that renewed their interest the case of a missing 3-year-old boy and arrest of Fleming - the boy's mother. Police Chief Pamela Ojeda led a press conference on Feb. 11 to describe the events leading to the arrest of the 60-year-old, formerly known as Amy Luster. Police said that someone applied for a birth certificate in the name of Francillon Pierre in December 2018. That led them to the reopened case. They spent extra time going over evidence and re-interviewing witnesses from 1986 and pieced together letters between Fleming and Lee Luster that had been torn into small pieces. Detectives on the case say there is no "smoking gun" and a body has not been recovered. They also said that it's lots of little things that have convinced them that Fleming is responsible for the boy's death. She was arrested on Jan. 29 on an open murder charge in Florida. Tuesday, Fleming has returned to Nevada and was being held at the Las Vegas City Jail. The original detective who worked on the case, Bob King, said he was "overjoyed" to hear of the arrest initially. He also said that although he felt right about the original investigation, he did not like the fact that an arrest could not be made in 1986. Police officers and volunteers spend hundreds of hours searching for the boy after he was reported missing. Fleming's court appearance is not yet scheduled. Stay with 13 Action New for further updates on this case.